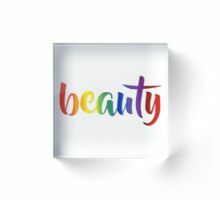 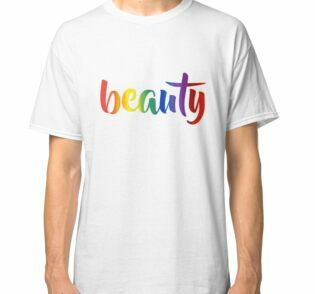 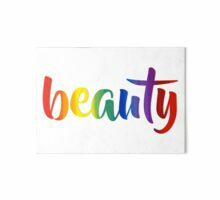 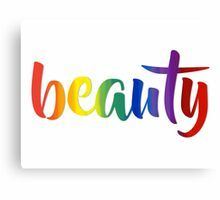 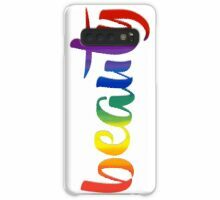 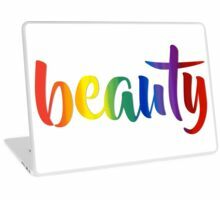 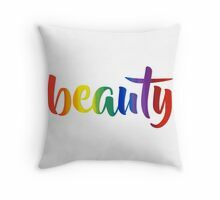 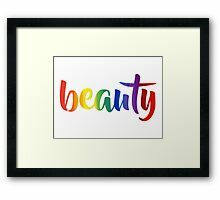 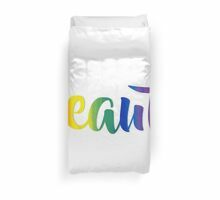 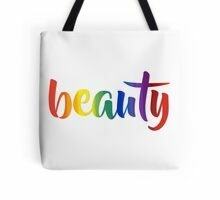 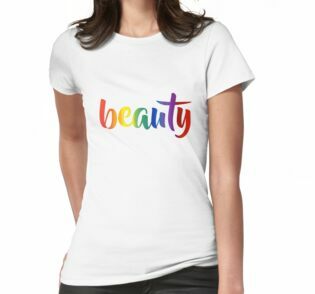 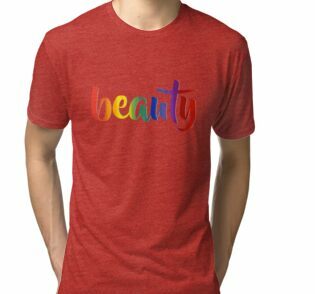 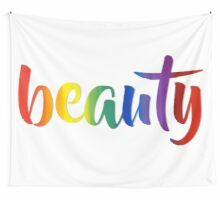 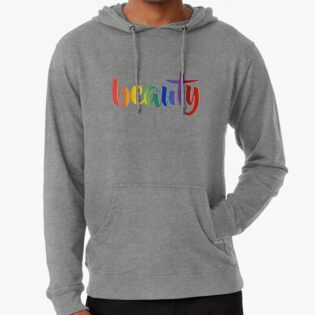 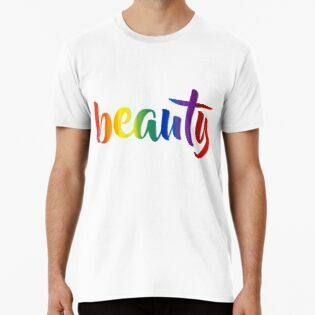 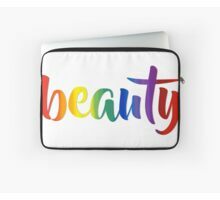 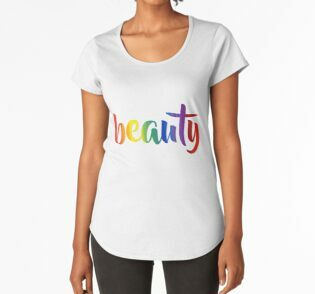 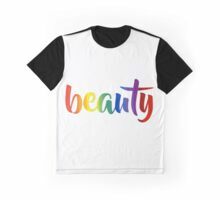 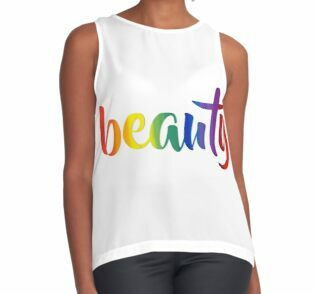 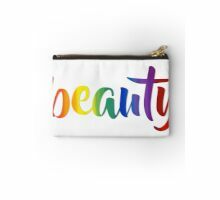 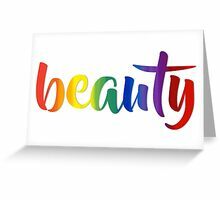 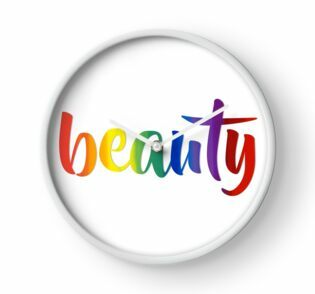 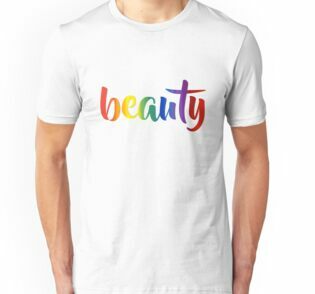 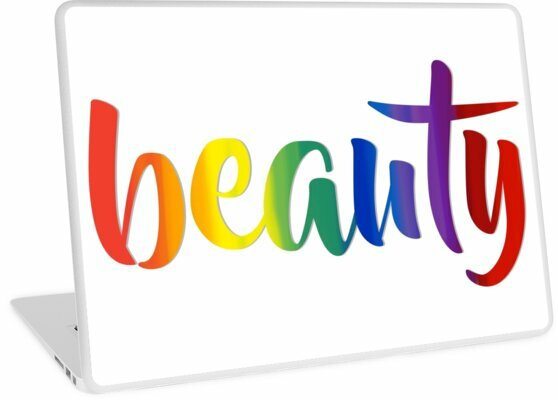 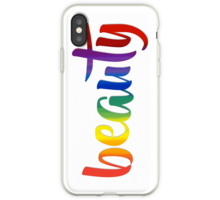 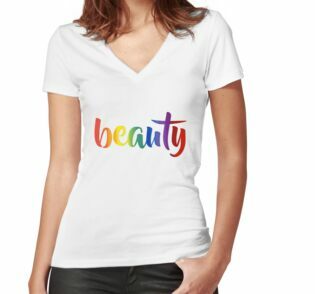 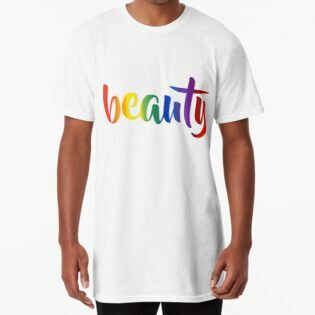 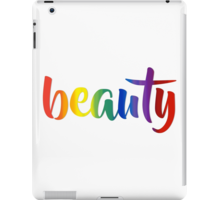 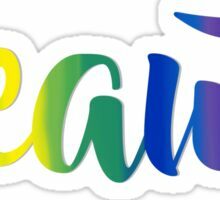 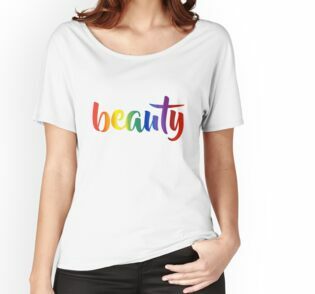 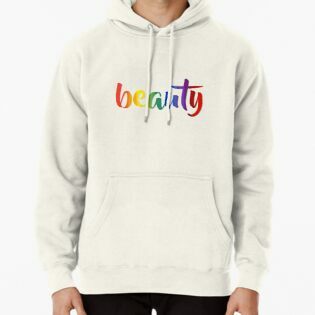 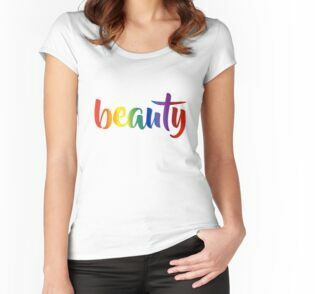 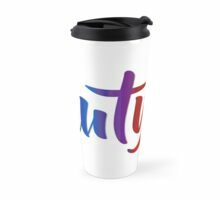 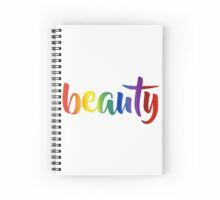 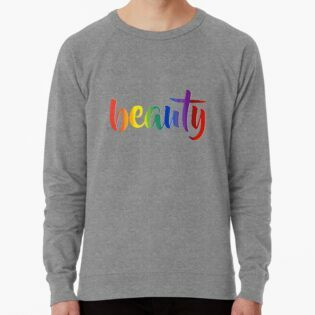 The word “beauty” in a handscript typography in rainbow colours. 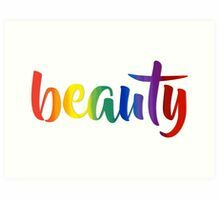 Beauty is in all genders, colors, identities. 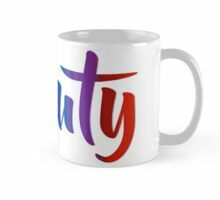 Typographical motivational message.